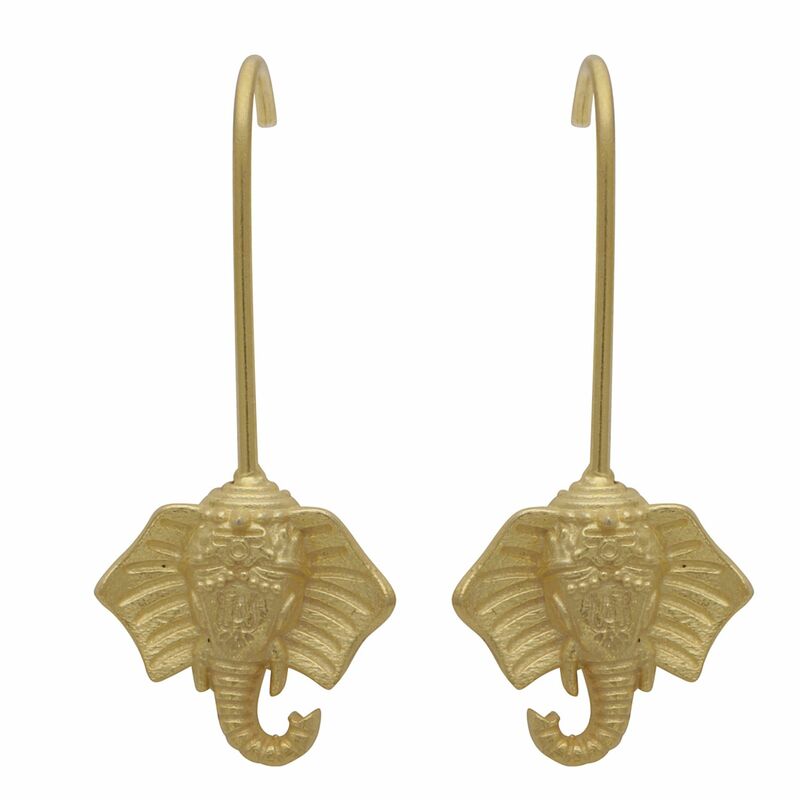 Elephants are one of the most beautiful, sensitive, and now sadly endangered species. 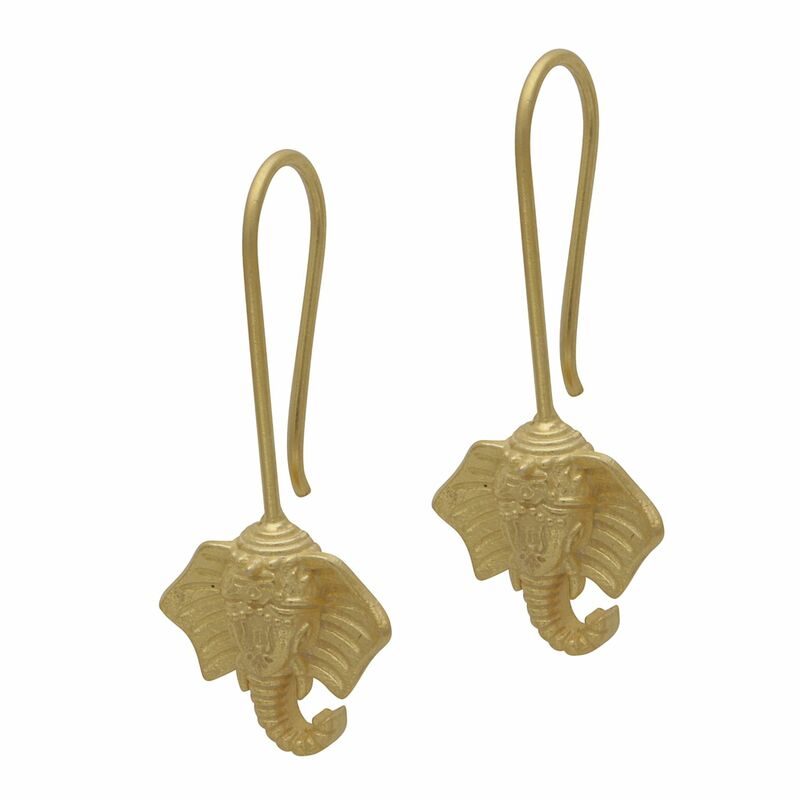 In both Indian and African cultures Elephants are widely considered as an animal of good luck. In most Indian cultures elephants are associated to the God Ganesha (Elephant headed God) to whom prayers are offered at the beginning of any auspicious occasion. 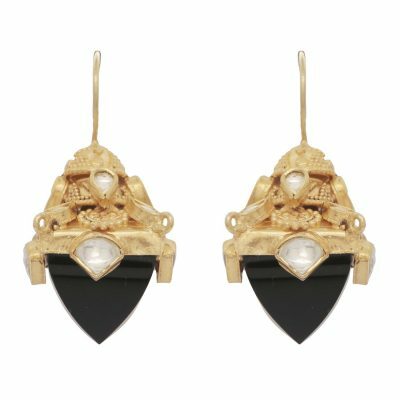 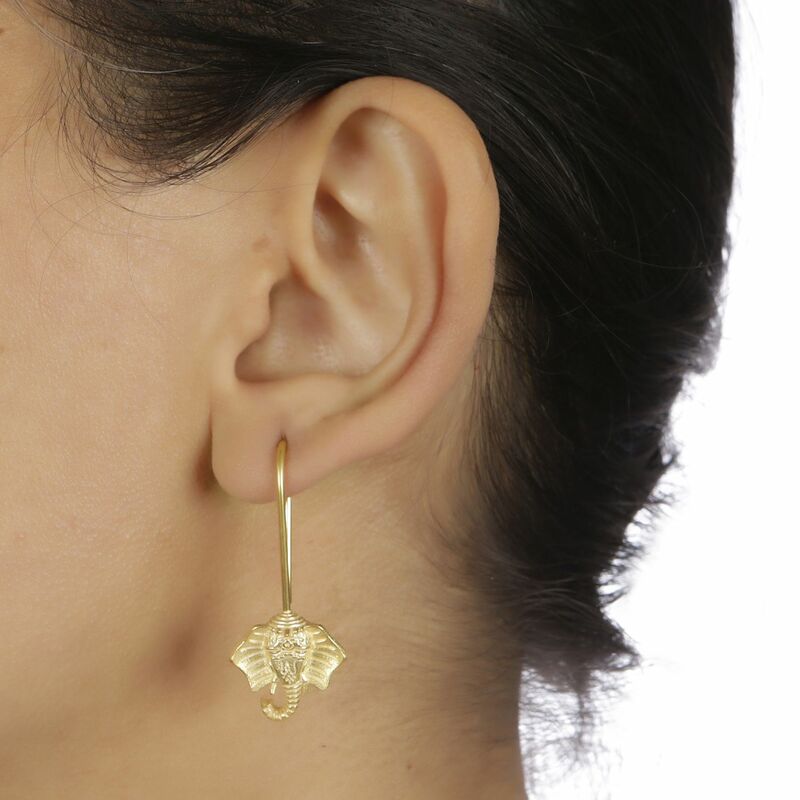 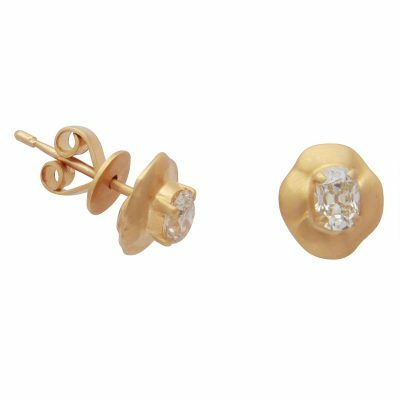 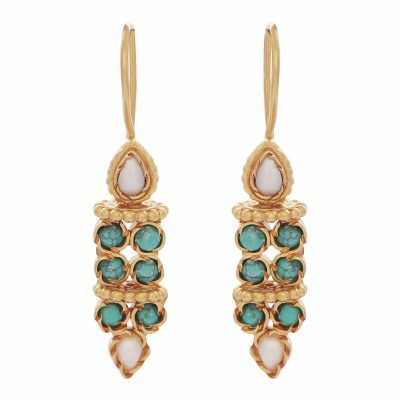 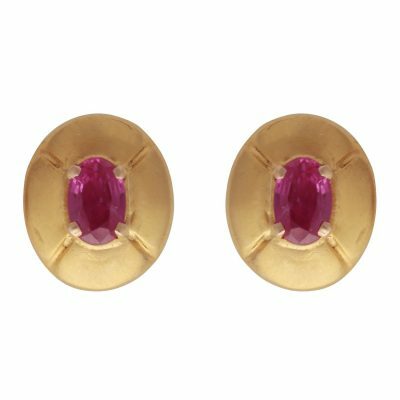 Very light weight earrings; gold rhodium plated on brass; 3.9cm in full length.